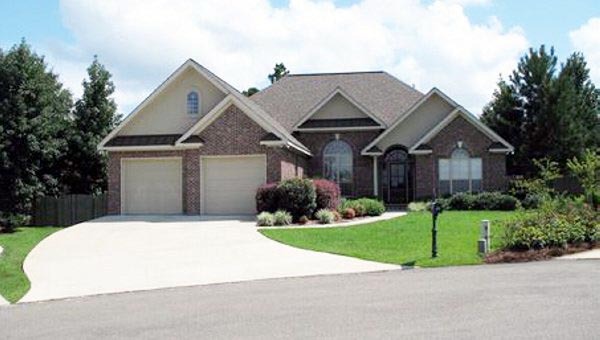 "This house provides a very well-thought-out floor plan layout with a number of the ""most requested"" features that you would expect to find in a much larger home. 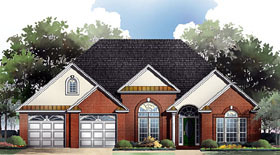 The design includes 3 large bedrooms with 2 full baths, plenty of storage, and an oversized two-car garage. In addition, your family will enjoy the expansive great room which features great views into your back yard and easy access to the formal dining/study, eating area, and kitchen. Master Suite includes large walk-in closet, oversized jet tub, large shower, and separate vanities. Optional basement provides even more opportunities for future growth. Make this your family's next home! "